My parents had a bucket list and their goal was to finish it with me before they died. That’s not going to happen now. I just got the news. Trisha called me and told me to meet her at my house, so I left work early and headed over. My world is crashing down around me and it’s only been two minutes. I won’t be able to hold it all together for very long. She got the news about the crash first because she’s an officer at the police station and figured it’d be best if the news came from her. They didn’t even make it to the hospital. “Caroline? Do you understand what I said,” Trisha asks. I can’t think straight. My head is spinning. How are we supposed to finish our bucket list? They’re gone, way too soon. We were supposed to have so many more years together. How will they see me get married? Or get my first promotion? The only thing I can think about: the stupid bucket list. We were going to have such a strong family bond after finishing it and now any chance of that is gone. “But I can’t. It was our thing. They’re gone. I can’t finish it if Mom and Dad don’t do it with me,” I’m sobbing now, close to panicking. I pull away from her. My parents are gone, not coming back, dead. I can’t go on without them. I don’t know how to. “Finish the list for them,” she squeezes my hand encouragingly, “They’d be happy if you did, I know they would be,” Trisha is just saying whatever she thinks will calm me down. I look at her incredulously. All I can think about is the stupid bucket list and what Trisha said, even a week later. I’m supposed to be catching up on paperwork for my job, but I can only think of what Trisha said: Finish the list for them. I’m hesitant to do it. I don’t want to hurt them, but I want them to know that I’m doing something to remember them. I can’t imagine doing any of these without my parents. I start crying again, the third time today. My fallen tears smudge the ink on the list. Maybe I can start off with something relatively easy. 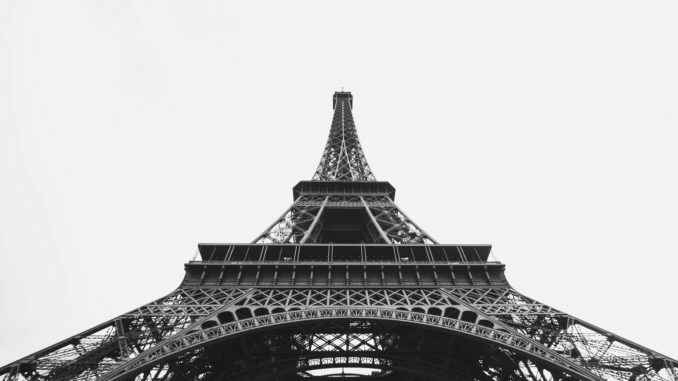 I can go see the Eiffel Tower, all I need is a plane ticket to Paris. Six hours later I’m on a plane, barely prepared, but hardly caring at all. I’m going to see the Eiffel Tower. Without my family. I can’t do this. I rush to get off the plane, grabbing the little luggage I have, but it’s too late. The doors are shut and the seat belt light flashes on. I fall back into my seat and cry. The people next to me are staring, but I can’t bring myself to care. When we reach Paris, I go to immediately book a flight back, but the next plan is in a day. I’m stuck, completely unprepared, in Paris. I obviously wasn’t thinking, getting a ticket to go to a different country when I have all that work to catch up on at home. I mentally kick myself, upset that I made such a big decision without even considering the consequences. Now I have to wait twenty-four hours and I didn’t even bring any work to do. Not going to the Eiffel Tower would be pointless, so I go. Trisha calls me while I’m in a cab, headed in the right direction. She sounds happy, and relieved, that I’m going to complete the list, saying that my mom and dad would be proud of me. I’m not planning on doing any of the other things on the list, but she doesn’t need to know that. But as I approach the Eiffel Tower, I do start to believe that they would be a little proud of me, too. The view is spectacular. I’m breathless from the height and walking up the 1,710 steps in the Eiffel Tower. I take a photo with my polaroid camera and shake the film. Next, I write a short letter to my parents, telling them that I don’t know what to do without them, that I wish we could’ve finished the bucket list together, that I feel so lost without them there supporting me. Most of all, I tell them that I miss them. After signing the letter, I fold it and the photo up and stick the small package of items in between the bronze bars of the tower, a mailbox to wherever my parents ended up. I walk down and away from the letter and the spectacular view, crossing a goal off the list and feeling a slight weight lift off my chest. I begin to think I will be okay without them and that they will most definitely be proud of me. Getting the ticket is easy and quick, the flight to Australia not so much. I’m going to go swim with sea turtles on the Great Barrier Reef and I know it is not a mistake this time. This time, I am thinking, thinking about what I can cross off the list next. The Great Barrier Reef is breathtaking, just like my scuba guide said it would be. The water is warm and I’m comfortable jumping into the sparkling blue deep. I’m able to swim up to sea turtles, seeing the beautiful patterns on their skin, skimming my hand over their algae-covered shells. My goggles fill with salt water. They’re not leaking, though. I’m crying again, not because I’m sad, but because I am so lucky to be able to experience something like this. After getting out of the welcoming ocean, I sit on the shore and write another letter and take a photo to go with it. I find an empty bottle, put the items to my parents inside it, and send it off to sea. Another weight lifts off my chest. They are proud of me, my parents, because I am strong enough to finish our bucket list alone, borrowing strength from my parents. I will be strong enough to get close to a shark without them watching my back, and I will be strong enough to get married or get a promotion without them. They’ll always be proud of me. I feel some of my grief wash away from me with the ocean waves. I’m able to cross off two items from the bucket list while in Australia and able to write two letters, beginning to feel closer to my parents with each letter I write. This list is not stupid, but a way to strengthen my bond with my parents, and I want to finish it, so I will never forget our goals as a family. I won’t forget my mother’s laugh when I did something silly or her smile when I told her a story. I won’t forget my father’s strength he shared with me when I fell off my bike or his knowledge that helped guide me through school. And I most definitely will not forget my parents’ pride in me when I brought home a good grade or when I told them I got a job. No, I won’t forget my family, because as long as I have this list, I have my family with me wherever I go. I will continue this journey with my mom and dad watching over me, getting my messages, however I send them, and seeing me learn and get better at managing my life without them. I will accept that they’re gone and I will be more comfortable with every item I cross off our bucket list and with every letter sent to them. I will finish the list and the journey it takes me on for them. For my parents. Claudia Reilly is a junior at Clayton A. Bouton High School.